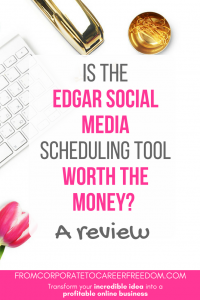 Is The Edgar Social Media Scheduling Tool Worth The Money? I’m a lazy social media poster. You see, I understand how important social media is for growing a business. I know it’s a great way to increase visibility of your brand. It’s a great way to connect with potential customers. 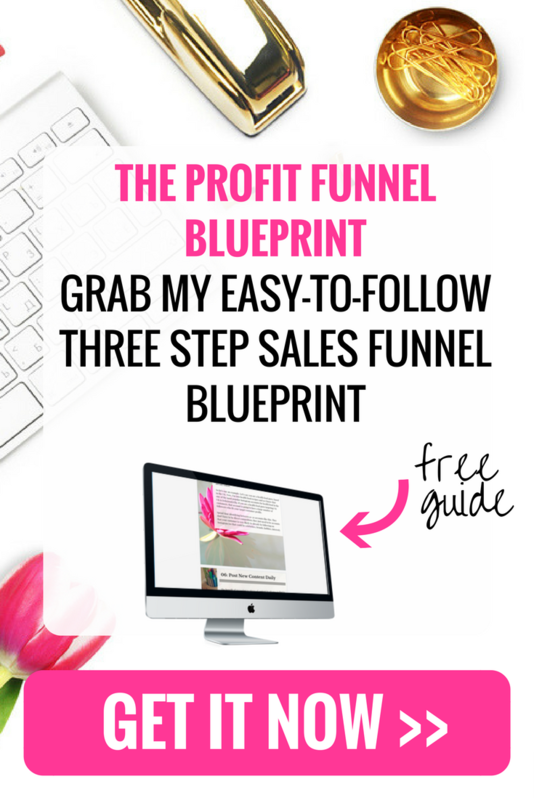 It’s a great way to bring regular traffic to your website. But keeping on top of social media is…well, challenging. My business and my clients take up a lot of time. On top of that, I have a 5 week old baby boy and a 2 year old girl to care for. So trying to find time every day to get onto Twitter and Facebook sometimes feels impossible. So I will now confess: when it comes to social media, I’m pretty lazy and it’s one of those tasks that often gets dropped, even though I know that can be damaging to my business and my social media presence. So that’s the background to why I started looking into using an automated tool to manage my social media presence, and after a lot of consideration I chose Edgar. The primary reason I chose it is because the founder – Laura Roeder, is someone I’ve followed for a long time, and I respect her knowledge and experience when it comes to social media. So this blog is really about my experience in my first few months of using the tool, and I’ve included some takeaway tips and recommendations for those of you who are struggling with your social media presence and wondering whether a tool is the answer to your problems. I’m not an affiliate of Edgar; I just think this is something that will be useful to lots of my readers. How Did Edgar Perform For My Business? When I’m reviewing tools, I like cold, hard facts. So I’ll start this by telling you what has happened to my twitter following since using the tool. (I’m not going to include statistics on Facebook growth as I do a lot of paid advertising so it distorts the results). 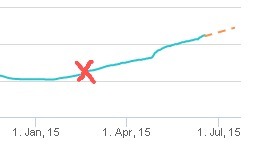 When I started using Edgar, I had around 1100 followers. I now have over 1600 followers. That’s a growth of around 45% in 3 months. During that time, I didn’t actively follow new users, so that’s purely organic growth: people who have seen my tweets and decided they wanted to follow me. I’m pretty pleased with that. Here’s my chart of twitter followers from Jan 1st 2015 from socialbro and the little red X demonstrates the point at which I started using Edgar. During the time I’ve been using Edgar, my traffic from social media has increased by around 20%, and page views per session have improved from 1.9 to 2.1, so visitors are more engaged when they do visit me from social media sources. Theoretically, I should probably spend around 20-30 minutes a day on social media to produce the quantity and quality of posts I’m putting out via Twitter and Facebook. However, over the past 3 moths since using Edgar I have done two major social media sessions, each lasting around 4 hours. These sessions enabled me to collate posts and schedule them on Edgar. That’s it. I’ve done very little on top of that, other than monitoring stats. That’s the biggest plus point for me. It’s been a massive time saver. If I had spent far more time on it, I’m sure I would be demonstrating even better growth results on my social media channels. Here’s a screenshot of my Edgar account, so you can see exactly how my posts are scheduled. Edgar rotates them on a random basis, and this is especially great for Twitter, because it means that by repeating certain posts, a far larger percentage of my followers gets to see it. Make good use of the categories function. In Edgar, you can categorize your posts. For example, inspirational, recommendations, blog posts. This is really helpful to ensure that your posts are varied and interesting to your followers. Plus, do make sure you use your posts to promote other people’s content and not just your own (going for topical, trending articles is a good idea as these generally perform very well). Keep an eye on your stats. Edgar will send you weekly reports telling you how your social media accounts are performing and showing you what your most popular posts were. Use this information wisely. Do more of the stuff that people respond well to, and less of the stuff they don’t, and you’ll soon see an improvement in your social media followings. Edgar allows you to post to Facebook and Twitter, but schedule these posts separately. In the beginning, I posted the same content on both platforms and Facebook performed badly, as the short, 140 character tweets didn’t go down well with my Facebook audience. So I created longer, more engaging posts for Facebook instead. Find out the optimum time for posting your content. 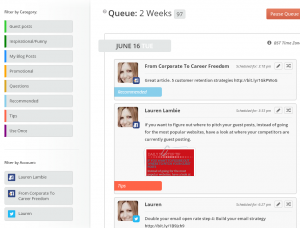 Edgar allows you to set your own schedule including day and time for your posts. Use an analytics tool like Socialbro to find out the most popular time to tweet, and use the Facebook insights page to get hold of the same information. If you post during the most popular hour of the day, it could triple your engagement rate. Over to you now. Do you use Edgar? Or are you using another social media automation tool? 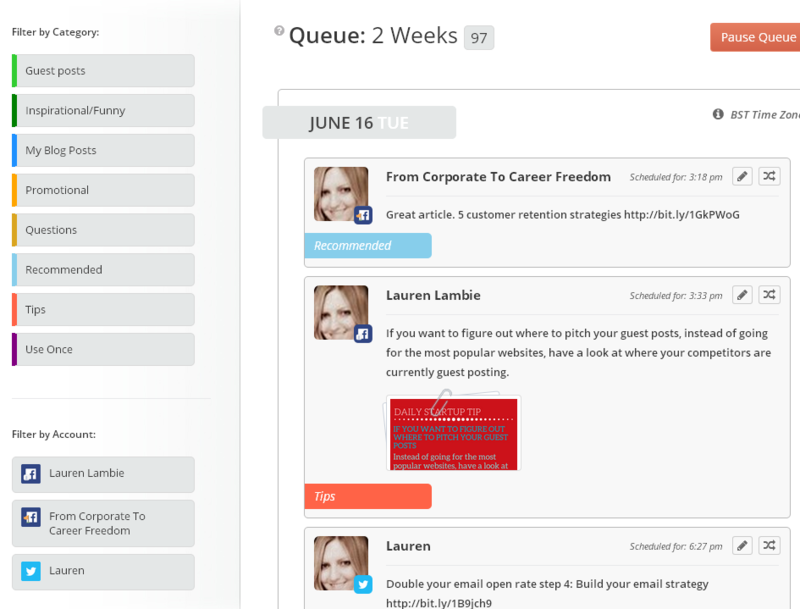 1 Comment on Is The Edgar Social Media Scheduling Tool Worth The Money? Welcome! 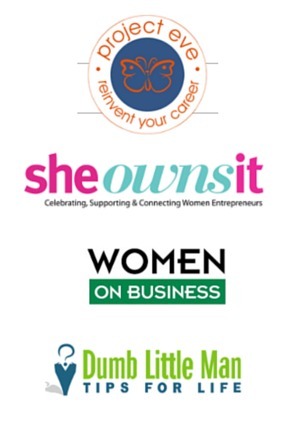 Are you quitting the corporate life to follow your dreams of starting your own business? You’re in the right place…..